MPI’s Lana Link weighs in on the discussion. This week we overheard someone call SXSW the new World’s Fair. It’s a great analogy. At SXSW, people from around the globe explore what’s next in technology, storytelling, and society. The variety is tremendous: You can start your day at a panel about curbing the Orwellian surveillance state and end it at a workshop with a Marvel screenwriter. But a conference of this size and scale can also feel overwhelming. This is why the Moving Picture Institute was proud to sponsor an offsite space for creatives and leaders in their fields to wind down, have meaningful conversations, and reflect on how the craft of storytelling relates to major issues in our world. For the past two years, we have held public screenings and discussions relating to human rights issues. MPI-supported films such as The Immortalists have also screened at SX in the past. This year we shifted gears toward communication and engagement. 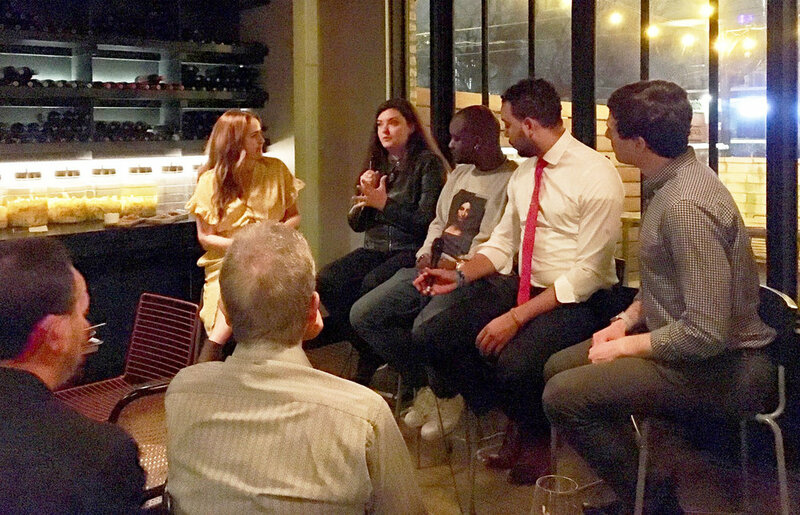 We hosted dinner at Il Brutto for 36 friends, old and new, which culminated in a panel discussion focused on Storytelling and Civil Liberties. This conversation featured a range of perspectives and experiences, including Ramfis Myrthil (Beast of the East Productions), Todd Belcore (Social Change), SJ Murray, PhD (EMMY®-nominated filmmaker; professor at Baylor University), and Alex Gladstein (Human Rights Foundation). We were also fortunate to feature performances from local artists Thelonious Love and Brooke Axtell. Want to attend MPI masterclasses? Apply here.